On 5 November 1974, Philip E. Culbertson, Director of Mission and Payload Integration at NASA HQ, wrote to Bob Parker with reference to an ASSESS planning meeting scheduled for 19-21 November at ESRO HQ in Paris, France. This was the only joint meeting of US and European participants prior to the installation of experiments and the actual flights. Culbertson urged either Parker or Allen to attend in their role of NASA Experimental Operator: "Your attendance is of critical importance due to the nature of the subjects to be discussed, the knowledge you both can provide to the deliberations of the group as scientists trained in space operations, and the impact the resulting decision will have on NASA's role in the ASSESS mission. ''11 The meeting was to identify primary operations for the experiments, operator training definition and scheduling and the allocation of observation times. Culbertson stressed that the education and skills of both scientist-astronauts, were invaluable in themselves but moreover, they were not obtainable from "any other attendee''. 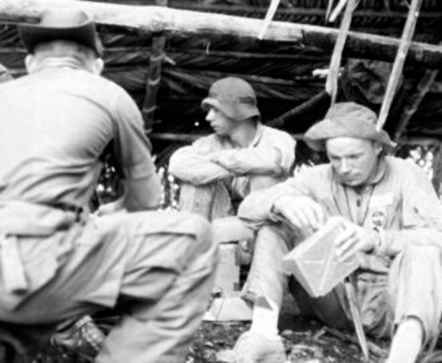 The role of ASSESS as a precursor to Spacelab missions was a key to providing a model of successful and meaningful cooperation in later years. In addition, it was clear from these memos that the specific skills of the scientist-astronauts were being recognised and used to plan and prepare the scientific Shuttle missions that would follow the engineering Orbital Flight Tests. Also in November, Owen Garriott, then Acting Director of Science and Applications at JSC, informed the Spacelab Program Office in Washington DC that either Allen or Parker would be put forward for participation in the ASSESS mission. Primary candidate Joe Allen had previously been committed to the "Outlook for Space'' Study Group and if this assignment conflicted with ASSESS, he would be replaced by Parker for the planned May 1975 mission.12 This proved to be the case, as Parker became more involved in ASSESS-I and replaced Allen as primary NASA Experiment Operator for the mission. By the end of 1974, planning for the first in the series of ASSESS simulation flights was underway.